Group Overall View. Showing Process Steps. 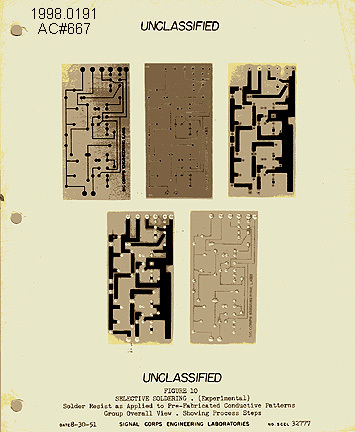 This image was taken by the Signal Corps and appears as if the actual circuit boards were laid upon prepared text paper then photographed.